A Which? Investigation has found that at least 30,000 Amazon customer reviews have been removed from 16 popular categories of tech and home products over the past two years, and it’s likely the true number is far higher. Review removal could indicate that products are being targeted by fake reviews to artificially inflate customer scores and rankings, and some categories had ten times more reviews removed than others. Relying solely on customer ratings, without digging deeper into reviews. Which product categories should you be more wary of? Categories that have a high percentage of removed reviews could be an indicator of products that are more actively inflated by fake reviews. According to our research, the product category with the highest percentage of removed reviews was dash cams – 11% had customer reviews removed, compared with 2% for TVs and 1% for radios and DAB. In addition, and due to the nature of data collection, this number of deleted reviews is likely to be a significant underestimate. As well as what types of products were removed most often, we were also interested in the brands that are most commonly removed. 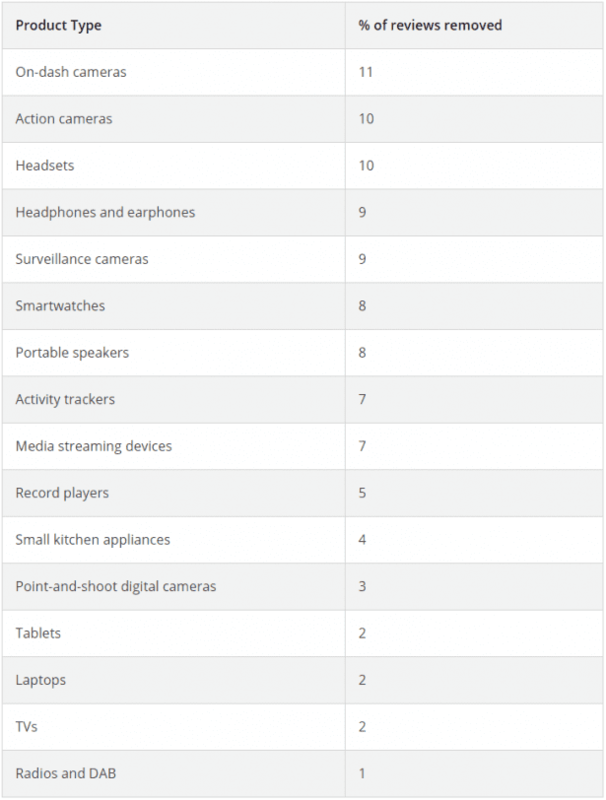 A total of 1,450 brands were found on Amazon’s website across the categories we’ve listed. We asked our tech experts to flag brands they had heard of – they selected a total of 178. Of the ‘known’ brands – including the likes of Bosch, DeLonghi, JBL and Motorola – just 2% of reviews were removed. This contrasts with 11% of the unknown brands. 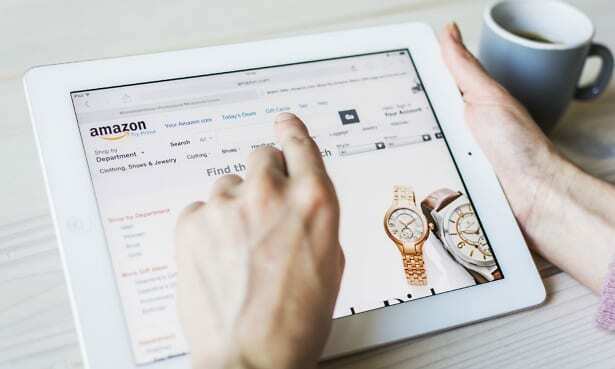 This could be because lesser-known brands – those who you might expect to be less popular in the UK and may be struggling to achieve good ranking in Amazon search listings, may be more likely to rely on fake or incentivised reviews to stand out to customers. Consumers should be more wary buying from brands they haven’t heard of, even if the product has a high customer review score. What types of reviews are deleted? To gain more insight into the types of reviews that are being removed, we looked at the average customer score of all reviews removed from these categories on Amazon’s website. Overall, the removed reviews we analysed had an average rating of 4.8 stars – this contrasts with an average non-deleted review rating of 4.1 stars. From this, we can conclude that the majority of removed reviews are more positive about the products they are rating and describing – a pattern you’d expect to see with fake or incentivised reviews. Why does Amazon remove customer reviews? 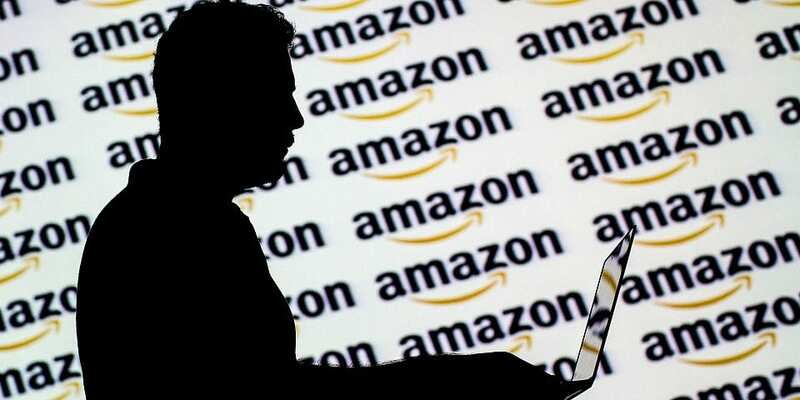 Fake or incentivised reviews are against Amazon’s customer review policy, and any found to be in breach of this are removed. Removed reviews could also be due to an Amazon account being deleted, or reviews being deleted by the reviewer. Our findings are based on two years of Amazon reviews. 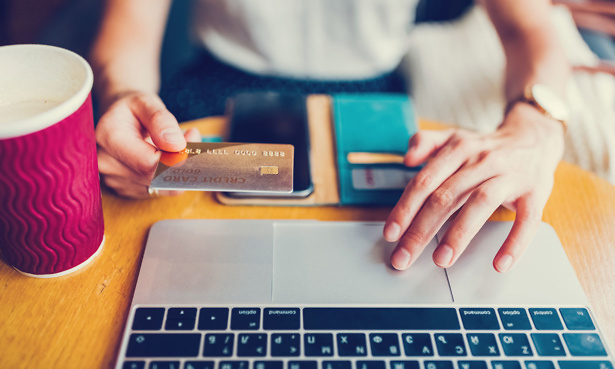 The data was recorded by online shopping analysts ReviewMeta, which collected review information data periodically during this time. It’s always important to do research in advance to help advise a purchase. Which? offers independent, lab-tested reviews and advice that you can trust, but if you’re shopping for something that we haven’t reviewed, there are a few things to bear in mind. If you’re buying from customer review-driven websites such as Amazon and relying on review scores to inform a purchase, read reviews carefully to see if they seem honest and impartial. Be wary about trusting review scores for products such as cameras, headsets, speakers and wearables – evidence suggests they could be more actively targeted by fake reviewers. Be wary about buying unknown brands – significantly more reviews are removed from lesser-known names, suggesting they are also more likely to be affected by fake reviews. Read more about the potential pitfalls of online customer reviews as part of our fake reviews campaign.